Crater Lake near Klamath Falls in Oregon, is a lake confined within the caldera formed by the collapse of an old volcano, Mount Mazama, in the Cascades mountains. The lake has no river flowing into or out of it, and all the water it contains comes from rain and snow melt. Its current depth is 1,949 ft (594 m) making it one of the deepest lakes in the world. Its water is famous for its blue color, purity and clarity. By the way, they say the volcano under the lake still could erupt again. 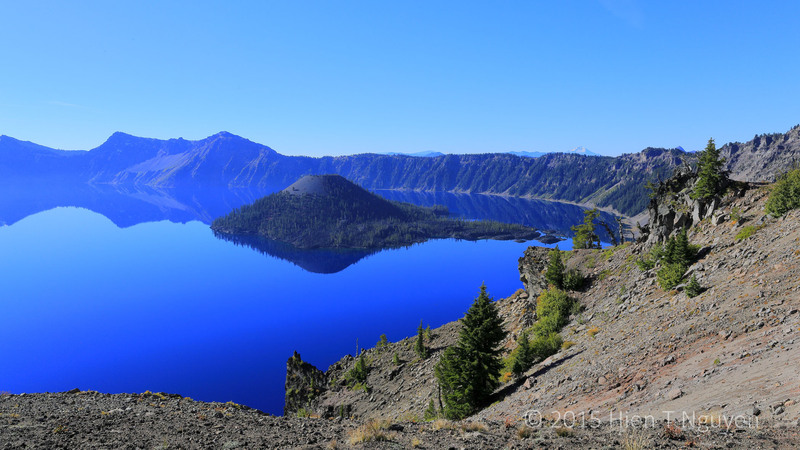 The lake itself is at an elevation of 6,178 ft (1,833 m) while the caldera rims range from 7,000 to 8,000 feet (2,100 to 2,400 m). Driving to Crater Lake, I couldn’t help but notice that for the last 100 miles (160 km) or so, it was all uphill. Because of a bicycle event on the day we visited Crater Lake, we were confined to about one quarter of the eastern rim drive, and thus lots of photo opportunities were lost to us. 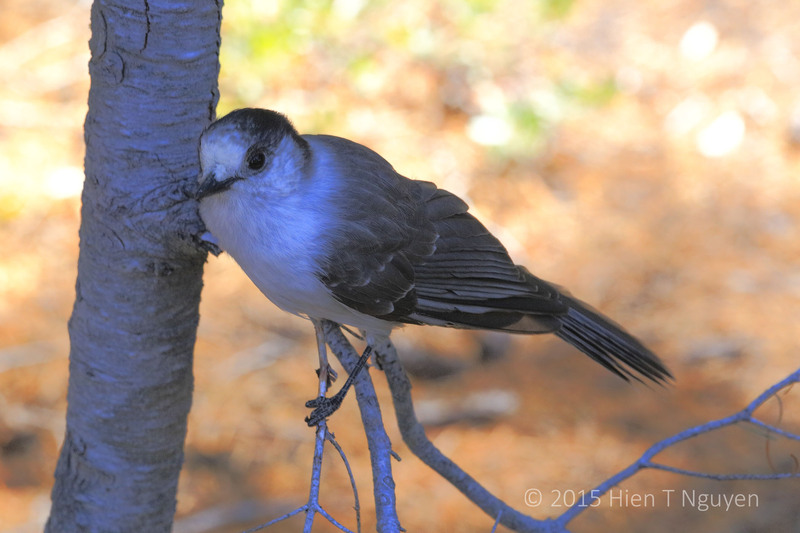 So I don’t have too many interesting additional photos other than these below. Crater Lake with Wizard Island in the middle of the picture. 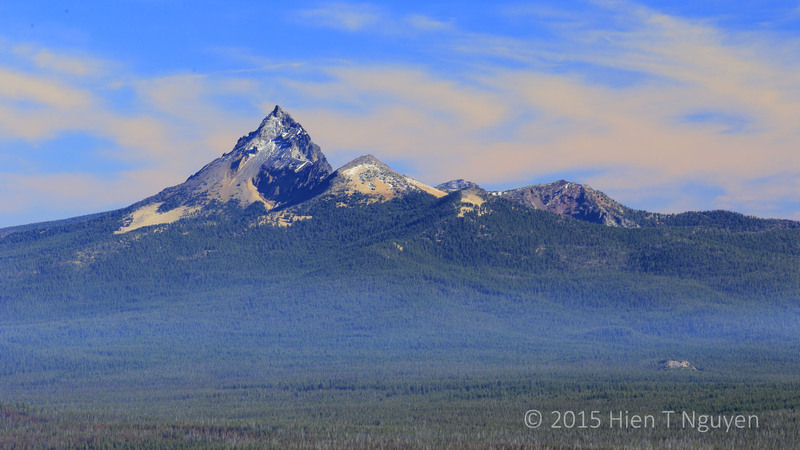 Looking away from Crater Lake, I saw Mt Thielsen to the north. At 9,184 ft (2,799 m) its peak has been hit by lighting so frequently that it has earned the nickname “the lightning rod of the Cascades”. Mt Thielsen. Early non-native explorers in the late 19th century discovered Crate Lake when they saw it after they climbed Mt Thielsen. Leaving Crater Lake after our shortened visit, we stopped at nearby Annie Creek Canyon to take a look. 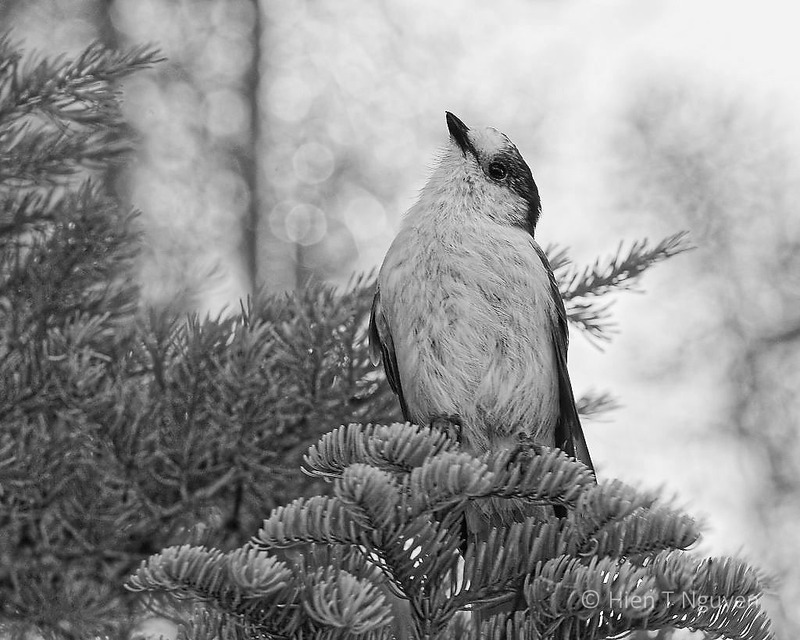 Almost immediately, a flock of Gray Jays, cousins of the Blue Jays we see in the East, mobbed us, perhaps looking for some food handout. 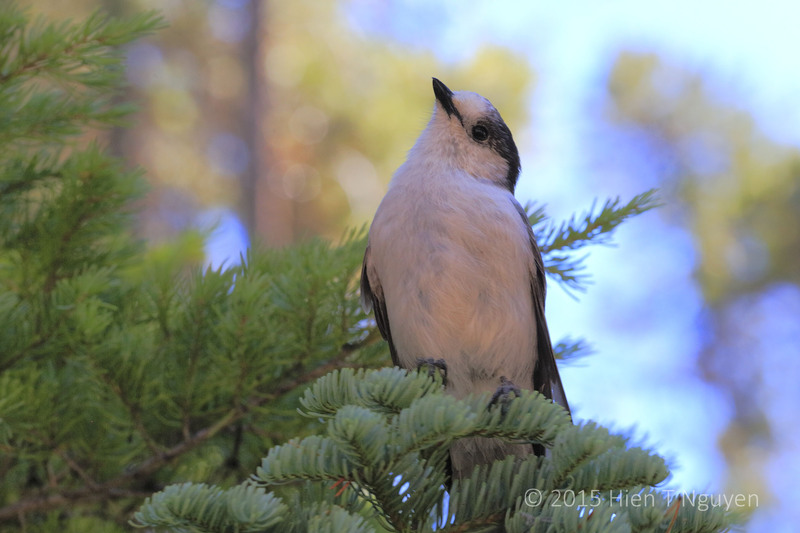 Gray Jay at Annie Creek Canyon.